Walt Disney was born in a modest frame home at 2156 North Tripp Ave. in Chicago, Illinois on December 5th of 1901. Plans are being made to restore the small frame house to its original configuration. Chicago Project Management has been retained by the Village of La Grange, Illinois to oversee their interests in the restoration of the La Grange Theatre. CPM was selected by the UTUUC congregation to manage a major renovation. specializes in making religious, home, and historic renovations and restoration projects a more pleasant, successful experience. We manage the project on your behalf, always keeping your best interests at heart. 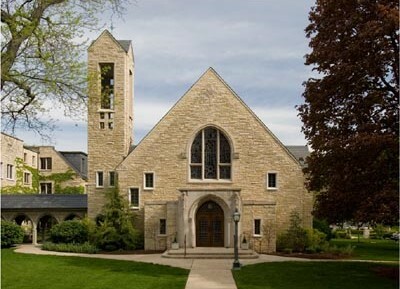 We help religious organizations, historical societies, and home owners in the Chicago area have true success with their renovation and construction projects. Our proven approaches ensure a well planned, carefully budgeted, tightly contracted and scheduled project. If you have a vision of a project, but don’t know where to start; meet with us and we’ll discuss your early plans and rough ideas. We get our true satisfaction from knowing that we helped someone complete a project that they would have had trouble doing well on their own. We are not a General Contractor! We work for you as your consultant.